What does the Home Insurance policy cover? We will be discussing a homeowner’s policy, not a condo or co-op. We will discuss those type of policies in the future weeks. What would you do after a car accident? When we think of insurance, whether it may be home, co-op, apartment or car insurance, what is the first thing that comes to our mind. Is it a way to put our lives back to the condition it was before the incident? The true definition of insurance is to make one whole again after an accident. Now there are many different things we can insure. We will discuss these many insurance policies in the weeks to come. However, let’s start with something very important as most of us drive and have cars. Not discussing what the auto insurance policy covers, but what to do in the event of an emergency with the last step to call the insurance company (spoiler alert). If you are in a car accident, be cautious of your surrounding traffic. While stopped on the roadway, activate your hazard lights, inspect the damage to your vehicle, if can safely place yourself and others at out of risk of another accident, move your vehicle off the road. Use reflective lights at the edge of the area where the accident occurred facing oncoming traffic to warn other vehicles that there’s an accident ahead. Please be cautious and courteous of other motorist and pedestrians during and after the accident to avoid another accident from happening. If you are physically able to get out of the vehicle, please look into the others in your car and the car you had the accident with. Dial 911, or have another person do it for you, however if you can refrain from moving someone who is seriously injured until medical personnel arrive, try doing so. Moving someone may cause additional injuries if done incorrectly. Talk to them to keep them awake and alert until the ambulance arrives. Alert the Authorities. While the NYS law requires a police report if damage to the vehicles or property is greater than $1,000, you may want a report on file even if it is a minor accident. This will help you get detail record of the accident. While no one may appear injured at the time of the accident and injury may later develop or we may later discover damage to our vehicles. While the police officer is there, be sure to record the officers name and precinct number so you will know where to go and obtain the copy of the report later. Trade Insurance details with the other drivers. You should always keep a pen in your glove compartment so you can write down information (name, address, phone and email, make, model, license plate numbers and insurance information of all involved vehicles. If you notice witnesses that may be able to testify on your behalf, you will need their names and phone numbers. Witnesses can make all the difference to an insurance claim. Take photos of scene of the accident scene as well as the involved vehicles, only when safe to do so. Years ago, I would give a disposable camera to all auto insurance clients to keep in your glove compartment. This shows my age, before the flood of cell phone cameras. However in the age we now live in, there are more cell phone in the world than people. You can take photos and even video footage at the scene of the accident. Things as simple as the angle of the vehicle, the damage to each car, the position of the stop sign and traffic lights, etc. You may need as much help as possible to defend yourself. In New York, we are in a no-fault state, which puts you at 50% fault from the moment the accident occurred unless you can prove otherwise. Put your recollection of the accident on paper. They say a picture is worth a thousand words. Since you have taken the photos, now write down those words. Describe which direction you were driving, at what time, lighting condition, the intersections, and draw a sketch of the accident and how it happened. This is what will be on the police report, but you should make your own notes to cross reference with those of law enforcement. If you believe the other driver is intoxicated or should be checked by the police officer, ask the officer and make a note of your request. Contact your insurance company. If you cannot drive the car away, contact your insurance carrier to have the car towed to the repair shop of your choice. Make sure that if the tow truck driver is not from your insurance carrier, they will accept all insurance payments. You will be issued a claim number and can deal directly with the insurance company or you can hire a public adjuster to represent you. However, keep in mind that a representative will charge a percentage of the money recuperated from the insurance company and is paid by you, not the insurance company. In the upcoming weeks, we intend to discuss the different types of insurance you can purchase and break down some of the basic coverages and forms of insurance and endorsements available. If you have a specific question in mind, please feel free to send the question in to our office by email at John@CapitalShieldAgency.com Our office has been open now 22 years, and we will always be here when you need us. When you purchase insurance, you must remember it is not always about the price, but you must evaluate the quality of coverage as well. An old client just told me last week he had a loss, and when he called the carrier to place the claim, he did not have coverage. At that moment, he realized that while the policy I had for him was a few hundred more, he would have been covered. You can always shave the cost of a policy, but will it be worth the savings when you need it most. Insurance is not a savings account and should not be used as such. When we place claims, your rates will increase. To keep your premiums down, consider raising your deductible. To get a free quote on your home insurance, please give my office a call at 718-829-3200. We offer home, auto, life and business insurance. We help protect what’s important to you. When you deal with the large TV insurance companies you will never get the same level of personal attention, nor ever get the same representative on the phone. An Independent Agent can shop around the best prices for you with multiple insurance companies and make sure your coverage is exactly what you need. Many insurance companies are Captive, meaning they can only sell you one carrier. We represent many companies and can help you get the lowest price for the best coverage. Call us today at 718-829-3200 or stop by our office at 3600 East Tremont Ave. We are open Saturday’s as well. Have a great week! Flood Insurance. What is it? Do you have it? Do you need it? For those of you who did not know, I am also a NYS Licensed Insurance Agent. 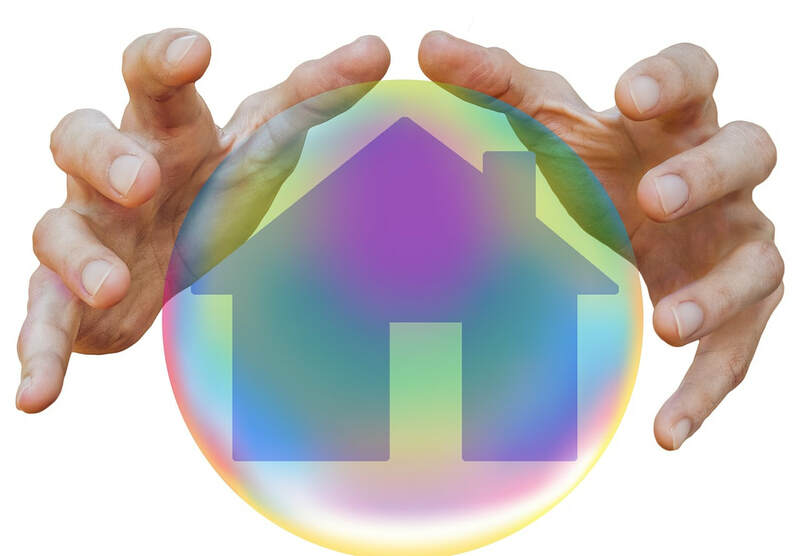 Today’s article is about home insurance. Do you have any insurance? Do you own a home, co-op or condo? Do you rent an apartment? If you answered yes to any of these, then your answer should be, “Yes of course I have insurance” If you have a mortgage, your mortgage company makes it mandatory for you to have coverage.